The Varsity Theater, formerly The University Theater, was one of the last vaudeville houses in Minneapolis and hosted everything from minstrel shows, to comedians, to screenings of early silent films. In 2005, the current incarnation of The Varsity Theater opened its doors as a vaudeville house for the 21st Century. 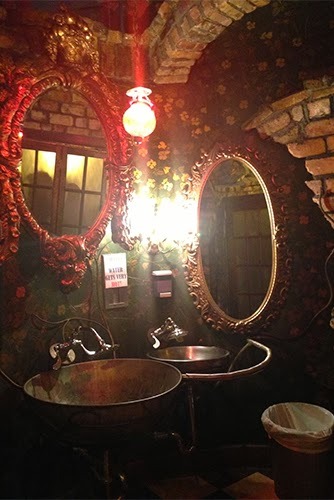 The restroom, decorated with ornate, gilded mirrors, sassy text plates, and bricks laid as if by a drunken mason on bender, invites guests into an Alice In Wonderland-like grotto – to relieve themselves and re-live childhood fairy tales. One part old-fashioned powder room one part lounge, this restroom allows concert-goers to take a break in an area from which one can still view and hear the stage. 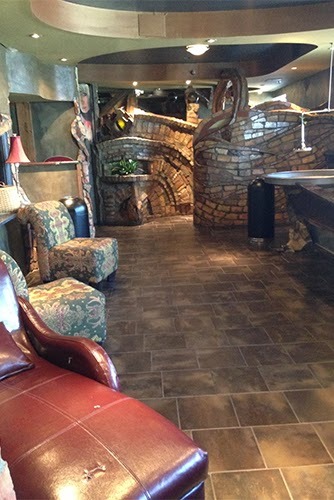 Bartenders even serve drinks over the back counter into the restroom area, offering a VIP experience to every guest. 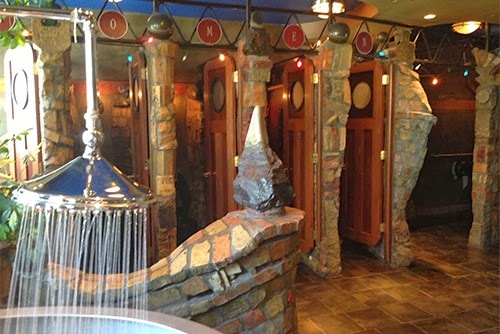 The sinks were designed with shower head-faucets with a foot pedal operation, a la grade school restrooms. 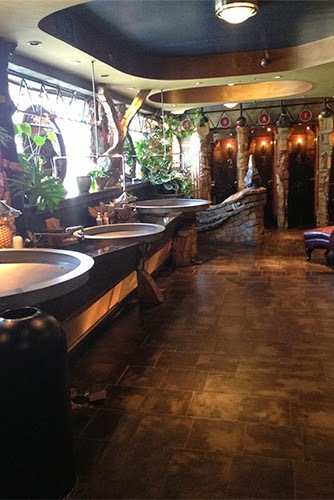 The lounge and hand washing area is coed, creating quite a social atmosphere, particularly when concert-goers are trying to figure out how to activate the sinks and they need to ask one another for the tip – use your toes. 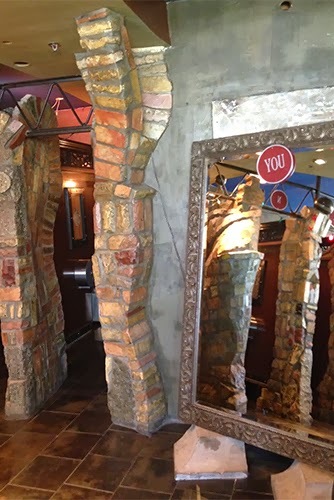 And of course, the women's side of the restroom features four times as many stalls as the men's side. 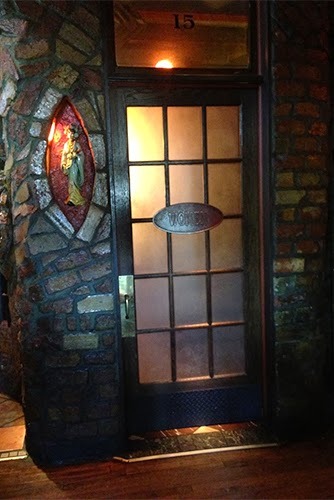 In addition to hosting both local and national music acts the Varsity is a popular location for wedding receptions, private galas, and dream dates, coupled with dinner at their associated restaurant, Loring Pasta Bar.